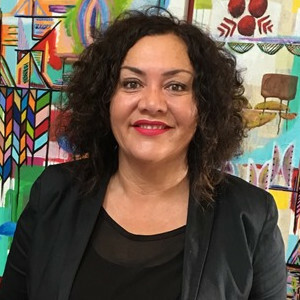 Barbara Ala’alatoa is a New Zealand Samoan born and raised in Auckland. She has over 30 years’ experience in teaching, and working across the education sector. Her experience includes lecturing at Auckland College of Education and co-ordinating schooling improvement at the Ministry of Education. Barbara is Principal at Sylvia Park Primary School – a job she describes as the best job ever by miles! Amongst other achievements in this role she and her team have designed a unique home school partnership based on the sharing of data in a comprehensive and methodical way with whanau – Mutukaroa. This work has resulted in significant shifts in student achievement and is currently being rolled out in clusters of schools across Aotearoa. In 2015 she was appointed as inaugural Chair of the Education Council of Aotearoa NZ. Speaker at SDW event: What does Millennial Superdiverse Women leadership look like?